We met Tanja Coray as a Pier 17 Science Studio Fellow here at swissnex San Francisco. 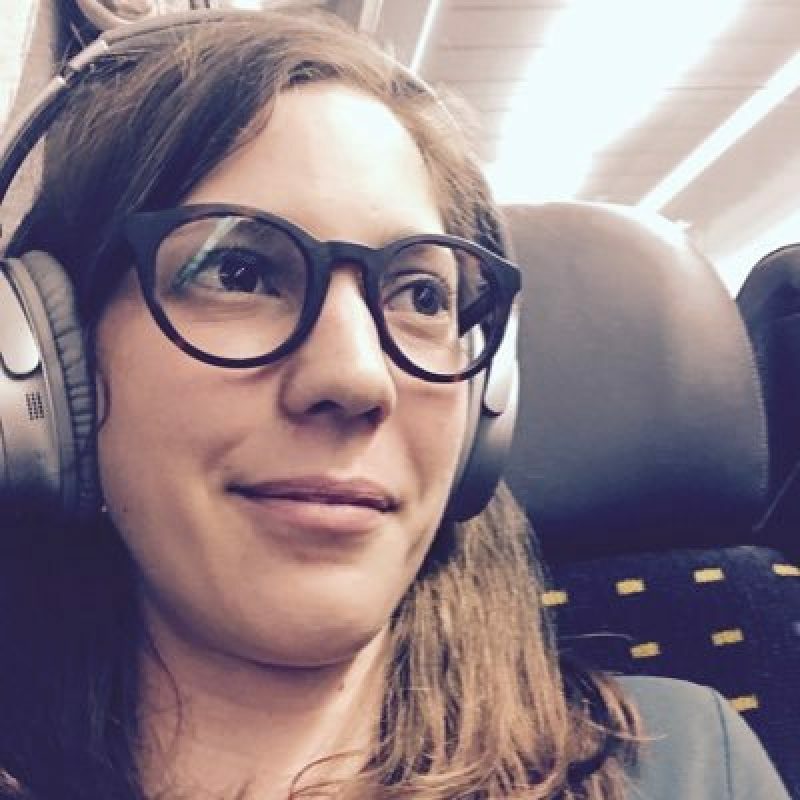 As the Communications Officer of the Swiss National Centre of Competence in Research (NCCR) Digital Fabrication, Tanja is responsible for the dialogue between researchers and the general public, but also for fostering exchange among an interdisciplinary cadre of researchers. At our SciComm studio event, Tanja shared examples of how research in digital fabrication in architecture has been combined with art, sports and the built environment to foster the societal discourse about novel construction processes. You can follow her on Twitter or LinkedIn. I serve as the communications officer of the NCCR Digital Fabrication, a nationwide Swiss research consortium of roughly 100 researchers that is funded by the Swiss National Science Foundation. The initiative was initiated in 2004 at ETH Zurich and is partnered with EPF Lausanne, Empa, and the Berne University of Applied Sciences. The research is centered on digital fabrication in architecture and construction, which means that our researchers are exploring how digital technologies, such as large-scale 3D printers and robotics, can be integrated with physical building practices to advance architecture and construction. I’ve always liked to do communications around complex topics, to try to build a bridge between those who are very aware and knowledgeable – the “experts and opinion leaders” of their fields – and the general public. In terms of internal communications, I’m working to foster exchange between researchers. It’s a super interdisciplinary crowd, and so I want to help the roboticist talk in a way that an architect can understand, and the other way around as well. That’s not an easy task and requires a lot of effort. It means putting yourself into the shoes of someone else. That’s often super tiring and exhausting, but once people embrace the idea, it’s fruitful for innovation. It adds a perspective on something that you do that you won’t be able to have on your own, because you’re bound by your own background. It’s true for external communications as well. Researchers have to be encouraged to share their knowledge and enter into a dialogue with publics who are conventionally not in their realm. In the current political and social climate I believe that our role as science communicators becomes more and more important. Both science and society need people who build bridges between experts and and what is traditionally called “the lay audience” – a term I try to avoid, because as we see from projects like citizen science, those two crowds are increasingly merging together. Science communication is important because scientists and researchers are at the forefront of innovation and developments that will eventually impact society. We need science communication to help society enter into those developments as soon as possible, in order to allow everyone to make informed decisions about the further development and applications of those technologies. Here in Silicon Valley, the discourse around AI is an example of that. If we don’t want people to meander somewhere between fascination and fears without actually knowing how far the development of these technologies is and how they might potentially impact their daily life, we need to motivate researchers to share their knowledge and have an open dialogue and debate. Science communication is becoming more important. People are starting to appreciate having someone who is not necessarily an expert in the area of research they’re working in, but who can serve as a bridge to society. I think researchers realize that science has kind of lost a connection to society over the last few decades and that this has an impact on policy-making. If scientists want to their voice to be heard, they need to be open to discuss their research with society. For myself, I never knew exactly where I would be headed, but the field I’m working in is super exciting. I appreciate working in interdisciplinary and international settings. They allow me to gain the perspectives of other people, meet exciting people as I did here in San Francisco, and it always inspires me to see where else I can go. Keep up with the latest trends, stories and events from swissnex San Francisco by signing up to our newsletters. We’re also onTwitter and Facebook.